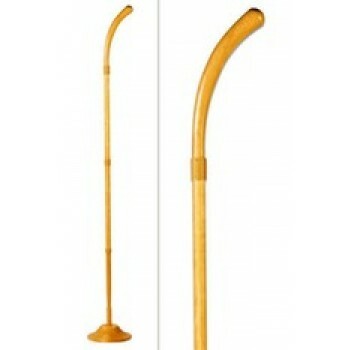 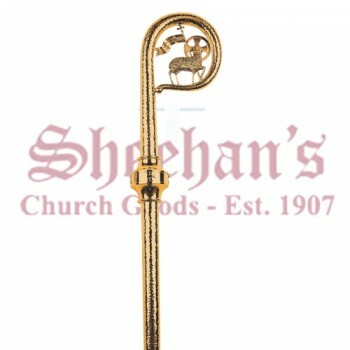 A bishop's crozier or abbot's crozier is a pastoral staff that is conferred on bishops (and abbots) at their installation. 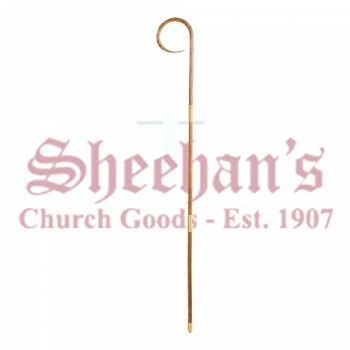 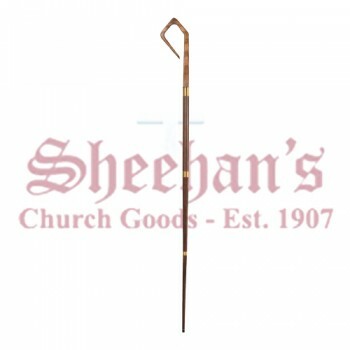 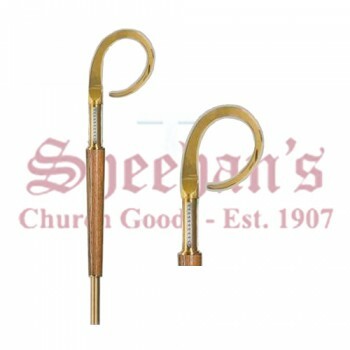 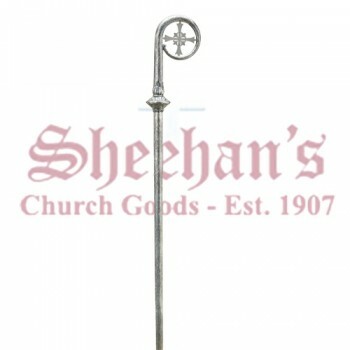 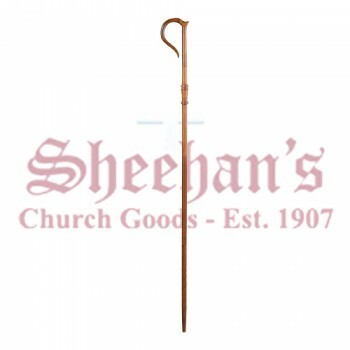 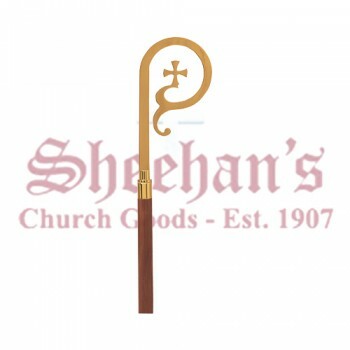 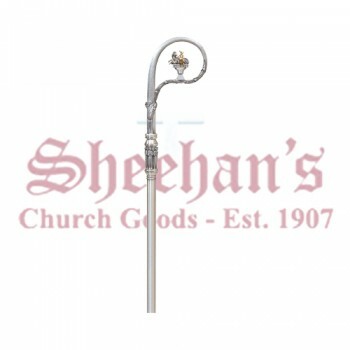 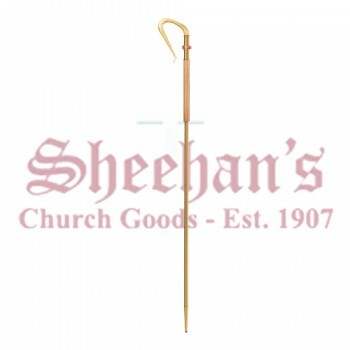 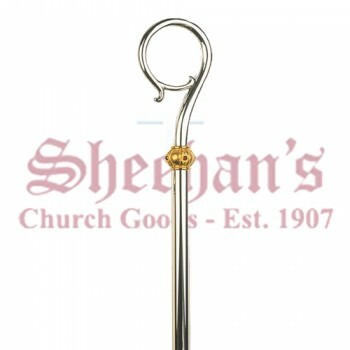 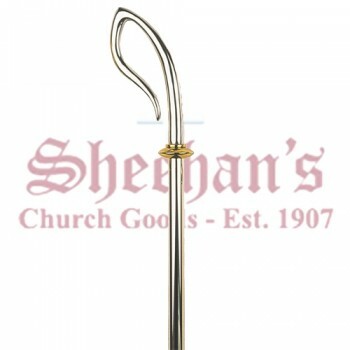 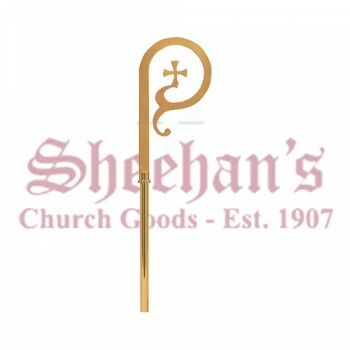 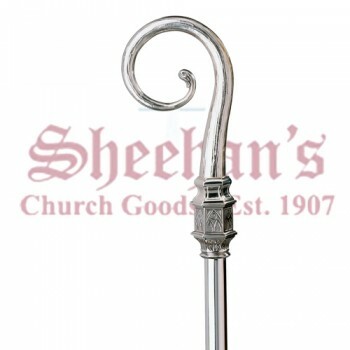 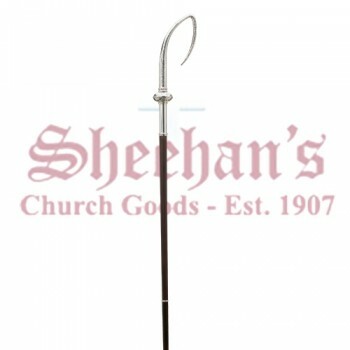 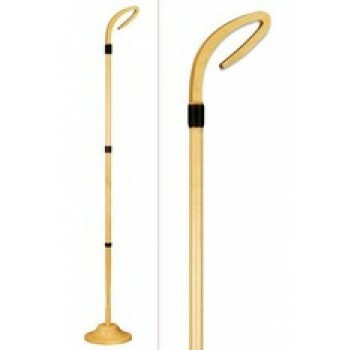 In the West, the top of the crozier is curved to mimic the look of a shepherd's crook which symbolizes his pastoral care of the people entrusted to him. 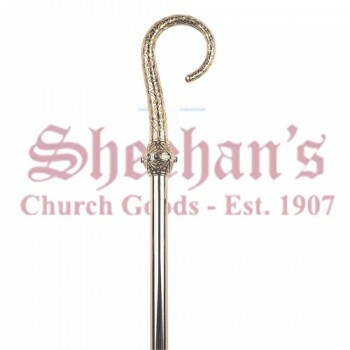 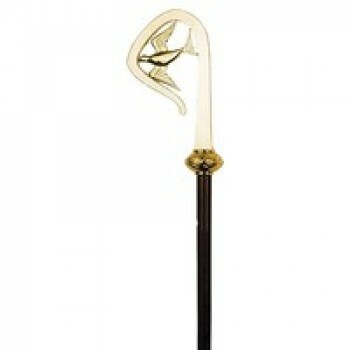 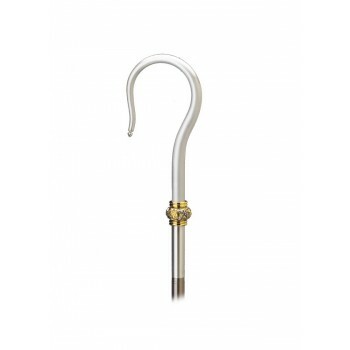 The crozier is a reminder of the bishop's need to keep watch over this entire flock. 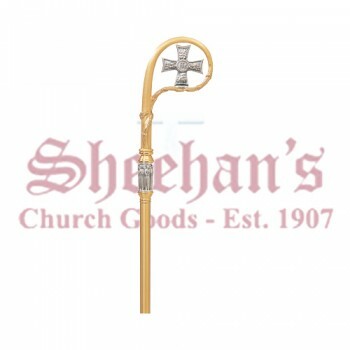 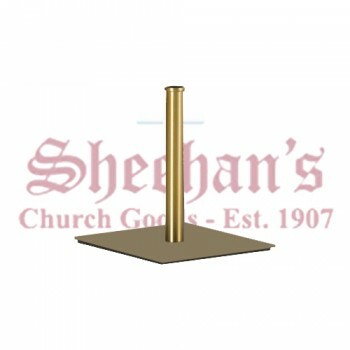 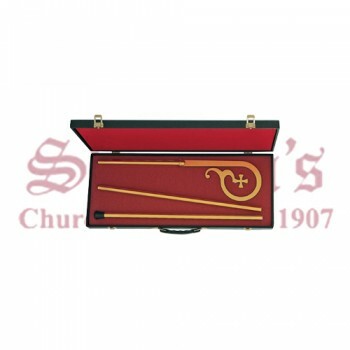 Matthew F. Sheehan's is pleased to offer a large selection of bishop's croziers to choose from in a variety of finishes and designs. 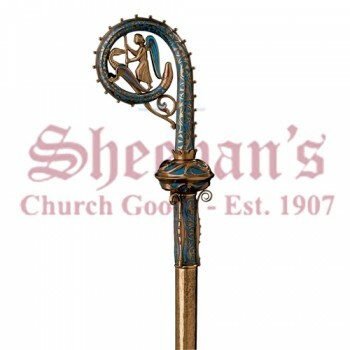 The bishop's crozier may be very simple and made of wood or it may be very ornate and bare a sculpted religious scene made from a precious metal. 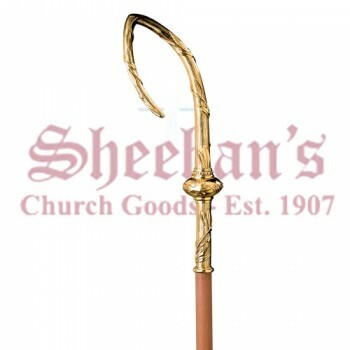 The type of bishop staff used depends on the individual and the church they lead. 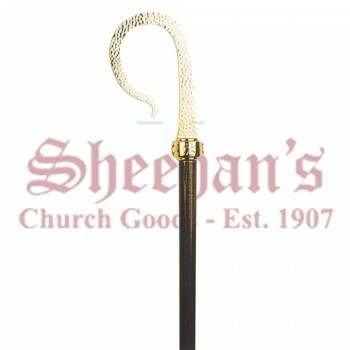 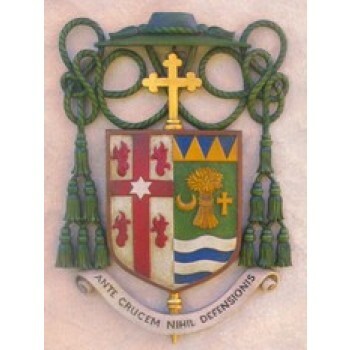 The bishop crozier is considered part of the bishop's apparel. 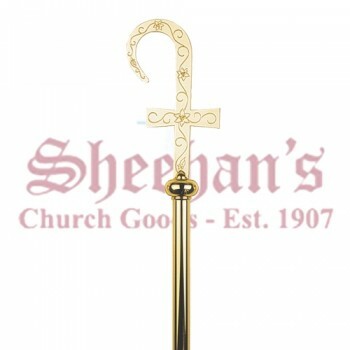 Like other traditional accessories such as a zucchetto, the bishop crozier is one of the pieces that make up formal bishop attire. 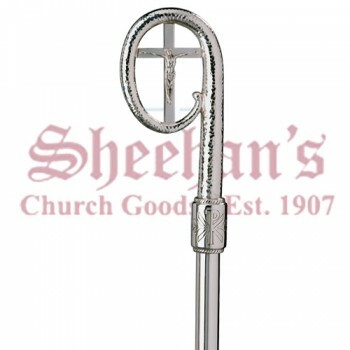 Tradition dictates that the bishop's crosier is always held in the left hand and faces away from the bishop, towards the people being addressed.